Windsor, September 5, 2017 – A first-of- its kind in Canadian outdoor recreation and fitness was made possible through a major funding commitment by LiUNA!625 WindsorEssex, ChathamKent with the official opening today of the LiUNA!625 Recreation and Wellness Centre on the Hôtel Dieu Grace Healthcare (HDGH) campus. 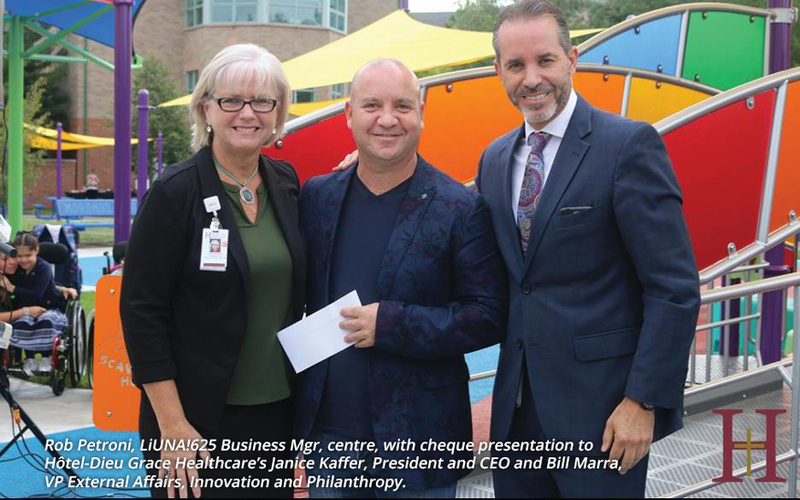 Rob Petroni, Business Manager of LiUNA625, made the cheque presentation to HDGH’s Janice Kaffer, President and CEO, and Bill Marra, Vice President, External Affairs, Innovation and Philanthropy. 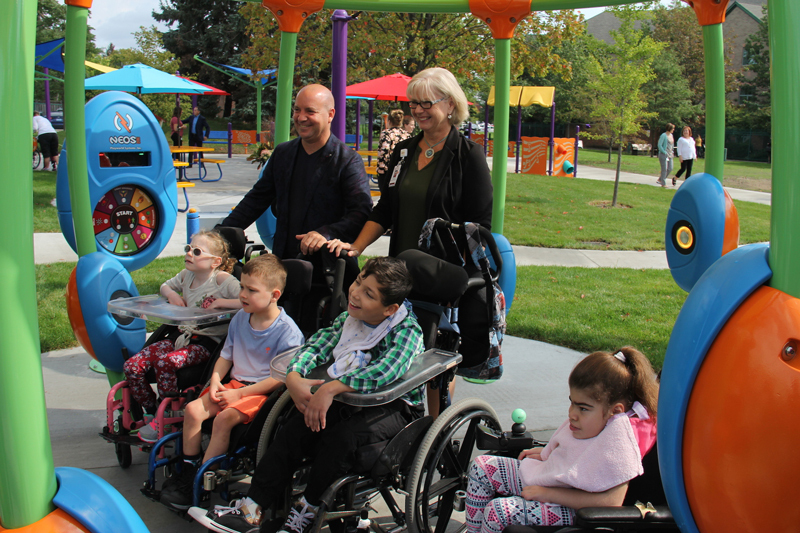 The space once separating Hôtel-Dieu Grace Healthcare (HDGH) and the John McGivney Children’s Centre (JMCC) has now been transformed into a one-of-a-kind outdoor recreation and wellness area benefitting ages 1 to 101. 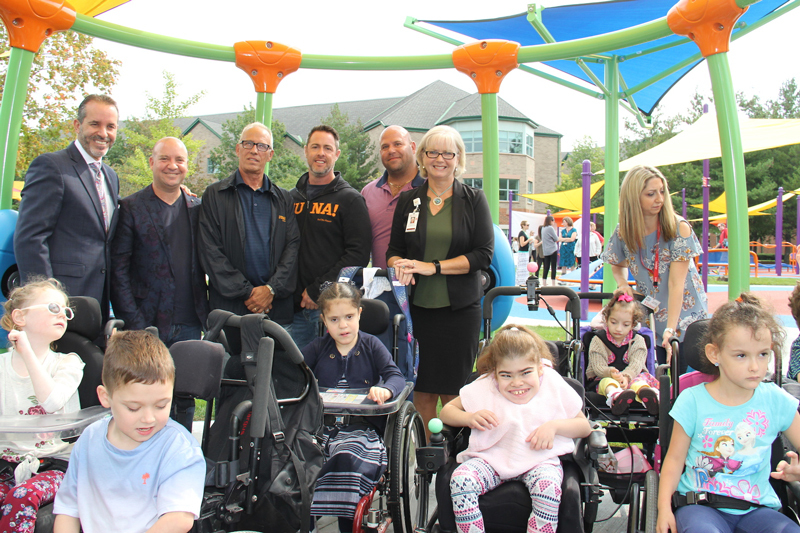 "LiUNA!625 is especially proud to partner with Hôtel-Dieu Grace Healthcare and the John McGivney Children’s Centre to introduce this innovative and important lifestyle facility to our community," said Rob Petroni, Business Manager of the Labourers’ International Union of North America for Windsor/Essex and Chatham/Kent. 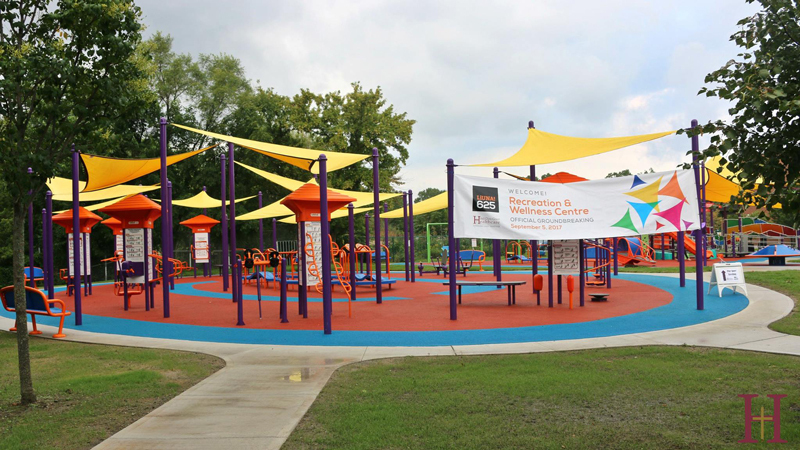 "Each year, our commitment to community grows as we strive to support institutions and organizations dedicated to the health and wellness of our citizens. 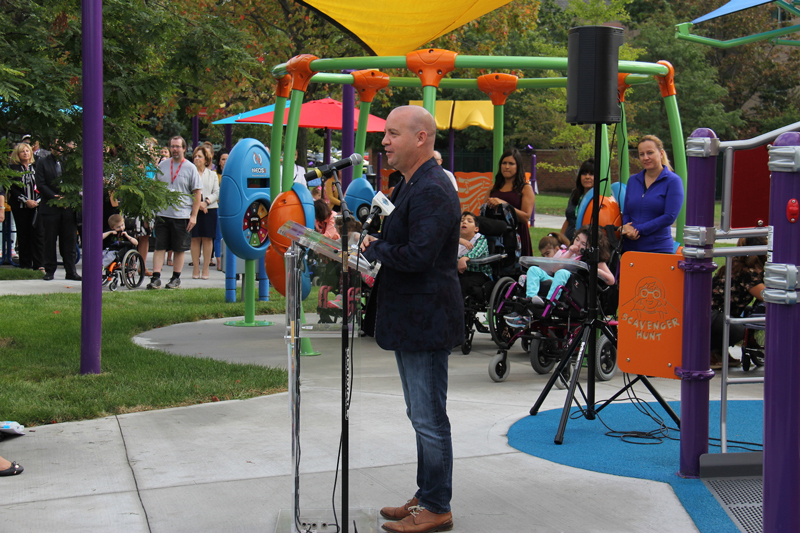 This special ‘age-friendly’ facility will bring together young and old from all walks of life including LiUNA!625 Members and their families now numbering close to 4,000 throughout our region," Petroni concluded. Hôtel-Dieu Grace Healthcare has officially named their space the LiUNA!625 Outdoor Recreation and Wellness Centre in recognition of the funding commitment by the region’s progressive construction craft workers. the community can play, learn and adventure together.